Got an interview call? Great! Its not just the call of opportunity but of a test to judge you as a potential candidate for a particular job. Getting an interview call is just half the work done in your job hunt. Many who get the interview call just don’t know how to present themselves and behave during a job interview. There are probably hundreds of articles written in detail about how to dress up or behave during an interview. Here I will just list down some important points to follow while preparing for an interview and brief information about each point. – Make sure you show your interest in that particular Employer and the proposed job. A cold response to the interview call wills half your chances of a good interview. 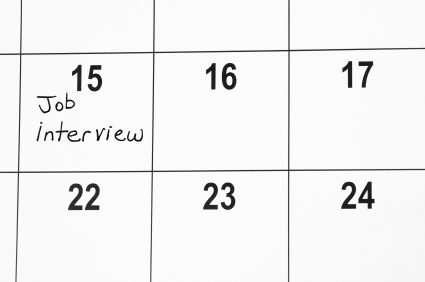 – Clearly convey to the Employer that you wish to appear for the interview on the assigned date and time. If for any reason you could not appear for the interview, mention that to the potential Employer. – Clearly understand the interview schedule i.e. date, time and venue. Employers hate late comers and time wasters. – Ask which documents you are required to bring with for the interview. Initially Employers just ask for your resume but its good to be clear. – Take the contact details of the relevant person for correspondence regarding the interview. – Remember that you are the “product” you will be going to “sell” to the Employer. Dress yourself properly with decent and neat attire. A product in a nice packaging stands a better chance of selling than one in a poor packaging. – Wear decent accessories that suit your personality, like a watch, cufflink, a tie or a pair of glasses. For men wearing accessories like chains, bracelets or cowboy hats etc. is not a good idea. – Do your hair properly. – Your shoes must be clean and in good shape. Remember that your hair and shoes are the first to get a viewer’s attention. – Before going for an interview, research and know as much as possible about the organization, its business, competitors and market standings etc. – Reach on time for an interview. Being late reduces your chances of getting hired up to 50%. – You are here to perform; your good “performance” can make you a star and get you the job. Needless to mention the consequences of a bad performance. – Be confident; you’ve already done half the work for getting this job by getting an interview call. – “First impression is the last impression”; make a pleasant entry in the interview hall/room. Pass a smile (not a silly one) to the interviewer/interview panel. – If in a reachable distance, make a warm hand shake (no need to crack his/her bones) with the interviewer. – Answer each question clearly and confidently. Shaky voice shows lack of confidence. – After the interview, ask questions about the organization, job responsibilities, work environment etc. Remember these questions are important to show your interest in the company and willingness to work with them. – After the interview session, take the interviewer’s leave, make a positive handshake with a decent smile and leave the room/hall. Writer is a contributor and team player at TechnoBird/Mustakbil.com. This entry was posted in Articles, Interviewing, Job Search, Jobseekers and tagged Career Advice, careers, Employer, Employment, Employment advice, Get jobs, Hiring, Interview Call, Job Advice, Job Interview, Jobs, Jobseeker, Online Job Search, Prepare for Interview, recruitment, Resume, Search Jobs on January 30, 2015 by waheed. All human beings have aspirations, hopes and dreams to become a breathtaking success. Yet most of us don’t achieve what we desire to. Majority of human beings live a life of mediocirty, way below their level of satisfaction. We often feel unhappy, dissatisfied, unfulfilled and even unaccomplished. If you want to produce a significant improvement in any area of your life, you got to bring POP Principle in action in your day to day living. The POP Principle guides you to achieve success, prosperity, and a deeper sense of contentment in your life. It can bridge the difference between your aspirations and actions thus creates the life you truly desire and deserve. What this ‘POP Principle’ is? Simple. Every human being is born with some hidden potential which is unexplored, unidentified and unutilized. Each one of us has some unique secreted talents, capabilities and skills which are burried, unseen and concealed. So the first step toward creating a great life is to explore, understand, and acknowedge your potential. The identification of your hidden potential gives people a sense of worth and ignites the desire to show the rest of the world how distinctive, unique and matchless they are. It is the potential that if harnessed, turns ordinary human beings in to Imran Khan, Allama Iqbal, Abdusattar Edhi, Jahangir Khan, Moeen Akhtar, Dr. Abdul Qadeer, Aisam ul Haq and Abida Parveen. You will agree that these great legends have always had the potential to become great. And so did so many other human beings. So the question is why couldn’t they too become great? If we agree in the first place that each new born baby on the planet is manifesting in this world with some unique set of skills, abilities and potential; then we can comfortably say that some Possibilities exist for every human being to use that passion to desing an extraordinary life for them. But the question is how do we narrow the gap between one’s ‘Potential’ and ‘Possibilities’? If ‘Possibilities’ are unlimited, abundant and endless, then why a large majority of people is unable to transport their potential in to possibilities? ‘Why poeople don’t use their potential to realize possibilities? I have asked this question many hundered times in my trainng sessions. Every time the answer is the same. By the way, before I share their response, what is your answer? What is stopping you from realizing the full potential of the possibilities waiting for you? The answer is simple. The missing link is ‘ Opportunity’. People complain for lack of opportunities. ‘Yes I have the talent, give me an opportunity and watch me realizing possbilities’ is the usual stance. After doing motivational and change management sessions with throusands of people, I have reached to one conclusion. We all are mostly in a ‘waiting’ mode’. We are waiting for the opportunites to come to us. Whereas the fact is that we have to make a move and attract opportuities. The ‘Opportunity’ does come to each one of us. More than one time. But the trick is that the opporunity almost always comes in a disguised form. A bulk of people don’t recognize it, spot it, or identify it. The best we do is to expalin it as a problem. Yes, when stand face to face to a new opporunity, we see it as a problem, not as an opportunity. Since we all want to run away from problems, we avoid it. Avoiding the opporunity means, we miss it. And missing the opportunity means we will reamin whereever we are till the next opporunity comes up. On the other hand, all capable, talented and high-potential people were able to decode the disguised opporunity and see it differnetely. Yes, initially it looked like a problem but they convereted it in to ‘challenge’ for themselves. Accepting challenge provided them the guts, courage and nerves to stand tall against all adverse situations. Yes, it was difficult for them to embrace pain and go away from the comfort trap but their ability to create a challenge from what others see as problem gave the fuel and energy to reach to the land of infinite ‘Possibilities’ . Who can deny that Jahangir Khan has always had the potential to become the world’s greatest sportsman ever? but it is his ability to constantly challenge his circusmstances and see every problem as an opportunity to grow that made him one of the most admired legends in the sports history. The fact is that you have an enormous potential to build a great future for yourself and your lvoed ones. Having that potential and even being able to correcty identify your potential is not enough. You need to devleop an eye to see the possibilities for you that no one else can see for you. By simply watching new possibilities from a distance is not sufficient either. You need to constantly narrow the gap between your potential and desired possibilities. The only thing that narrows the gap is your knack of seeing problems as challenges. You know why? Because if you see opportunities as problems you will go defensive and employ escaping strategy. But when you see problems as challenges, you feel energized, enthused and stirred to overcome any obstacles between your dreams. Remember, if you are committed to tap your untouched, unhunt, unexploited potential, jump at every possible disguised opportunities. Make a shift in your way of looking at things. God has sent you on this planet with a premium seed of greatness. Don’t waste it. Plant it. Cultivate it. Nurture it. Grow it. And then be ready to harvest the rewards of turning your hidden potential in to endless possibilities. Qaiser is a best-selling author, motivational speaker, high-energy trainer and successful entrepreneur. He is a living example of overcoming adverse circumstances, breaking self-imposed limitations, challenging others’ negative assumptions about you, saying good-bye to the comfort trap, following your dreams, struggling hard in face of countless failures and eventually turning the dreams into reality. The life Qaiser lives today was not possible in even his own wildest dreams. Qaiser was raised in a family that lived way below the poverty line. His childhood was a picture of deprivation, scarcity, and deficiency. He lost his mother at the age of 7 and father at 21. Both died without having any ‘incurable’ disease. Both incidents marked the beginning of seemingly an endless ‘suffering’. His youth was a walking image of crushed self-esteem, stumpy self-confidence, negative self-image and a defeated personality. Yet his desire to do something valuable for his family kept him alive. He took up a range of rough jobs in hazardous, treacherous, and unsafe physical conditions to sustain him and continue his education. Qaiser’s desire to create a successful and prosperous life for his loved ones collapsed and crashed innumerable times. He had to go through countless failures and setbacks before he started making tiny shifts in his thinking. In the next five years, he surprised himself and everyone around by crafting a life that he conduct even imagine only few years ago. Today, Qaiser facilitates motivational, team-building and coaching sessions with over 200 clients including fortune 500 companies like Unilever, P&G, Total, Coca Cola, Gillette, 3M, OMV and Reckitt-Benckiser. Qaiser’s life changing motivational books, training programs, media appearances and success seminars have touched thousands of people in many parts of the world. His audience describe him as inspiring, impactful, direct-from-heart, and incredibly energetic. Qaiser is also Founded Possibilities Foundation to share success with less fortunate segments of the society. The entire income generated through his books is dedicated to support the education of talented and deserving students. Qaiser is married and lives in Lahore, Pakistan. This entry was posted in Articles, Jobseekers, Motivation and tagged Job Search, jobsearch, Jobseeker, Motivation, Opportunity, POP Principle, Possibilities, Potential, Qaiser Abbas on May 21, 2011 by admin. Computer hardware engineers research, design, develop, and test computer systems and components such as processors, Laptop, Desktop & Servers. By creating new directions in computer hardware, these engineers create rapid advances in computer technology. Drafting, editing, and finalizing design plans and details using AutoCAD and adhering to drafting standards.Analyzing sketches, notes and other input material to determine best approach to complete a drawing set.Coordinate with designers, technicians and other personnel to incorporate concepts and information into drawing packages.Creating profiles i.e. walkway, utilities, alignments, layouts, and modifications as per requirement. Bahria University CAREER OPPORTUNITYAccounts ClerkQualification: Graduate /Intermediate with certificate in MS office. Typing speed 50 wpm.Experience/Knowledge: 3years experience in Accounts Department. Ex-naval person (CPO/PO wtr) will be preferred. Bahria University CAREER OPPORTUNITYSenior ClerkQualification: Graduate /Intermediate with certificate in MS office. Typing speed 50 wpm.Experience/Knowledge: Ex-naval person (CPO/PO wtr) will be preferred. Ennoble International is looking for marketing executive who can work from home for importers and wholesaler in the Europe, UK & America.